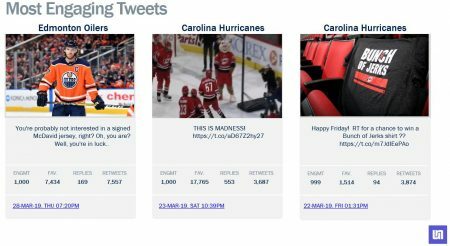 The Carolina Hurricanes stood out among National Hockey League teams on Facebook, Twitter and Instagram in March, topping Twitter in growth and engagement for the month, as well as pacing Instagram in growth, according to social marketing firm Unmetric. 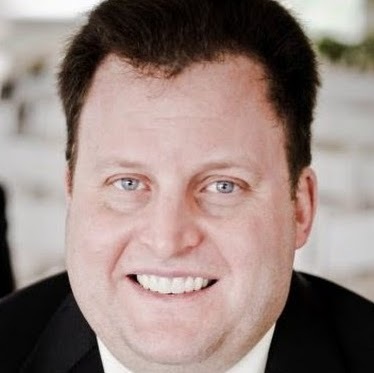 There was no change in highest audience size, as the Chicago Blackhawks sat atop Facebook and Twitter, while Instagram continued to be paced by the Pittsburgh Penguins. The Florida Panthers had the most growth on Facebook last month. 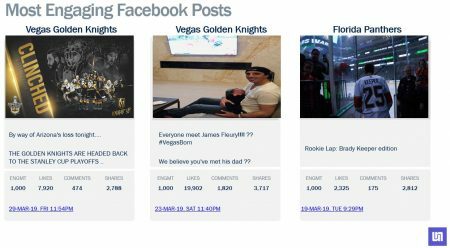 The Vegas Golden Knights led Facebook engagement for March, while the Boston Bruins did the same on Instagram. The Calgary Flames had the most Facebook posts for the month, while the top tweeters were the Montreal Canadiens and Instagram was led by the Detroit Red Wings. 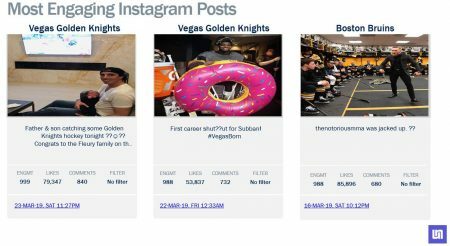 The Penguins led Facebook and Twitter ln likes, while Instagram was paced by the Bruins. 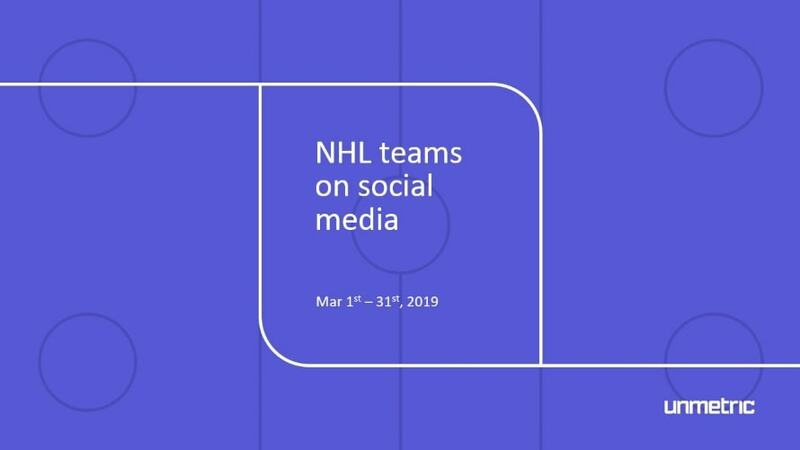 The Toronto Maple Leafs drew the most Facebook comments for March, while Twitter was led by the Flames and Instagram by the Washington Capitals.